It seems as if we've been talking about Oliver Stone's Edward Snowden film for two years now, but today we finally have the first full trailer after a teaser that debuted last June. I wasn't sure what to expect from the film given it seemed a rushed project to capitalize on current events. It didn't help my optimism that the fascinating documentary, Citizenfour, had already come out and with the involvement of the real Snowden had already shed as insightful a light on the situation as possible. Seeing actors go through similar motions would seemingly only feel like watching people play dress up. 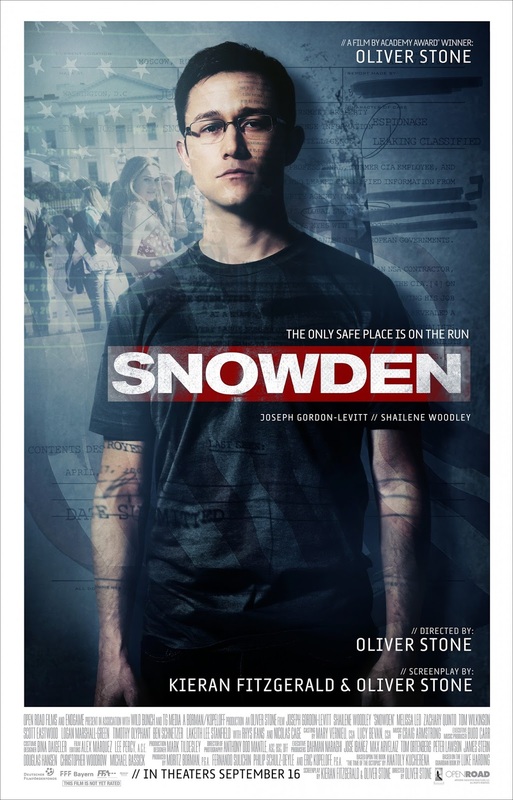 This is certainly a concern still given the vocal choices star Joseph Gordon-Levitt has seemed to adopt for his portrayal of Snowden, but this trailer also displays the advantages of having a dramatic narrative around a popular public figure. This aspect comes into play mostly in the early parts of the trailer as we are given highlights of what led Snowden to work for the NSA in the first place. His desire to serve his country and honor its legacy is an admirable quality no matter where one falls in line politically and will undoubtedly set the character up as a likable and endearing individual who audiences will find it hard to turn on once the events he's well-known for begin to happen. The story of Edward Snowden is certainly ripe for an adaptation by a filmmaker who has made his name on interpreting history and historical figures, but only time will tell if this is the Stone that brought us JFK and Born on the Fourth of July or the one who brought us Savages. Snowden also stars Shailene Woodley, Melissa Leo, Zachary Quinto, Tom Wilkinson, Rhys Ifans, Nicolas Cage, and opens on September 16th, 2016. Synopsis: Academy Award®-winning director Oliver Stone, who brought Platoon, Born on the Fourth of July, Wall Street and JFK to the big screen, tackles the most important and fascinating true story of the 21st century. Snowden, the politically-charged, pulse-pounding thriller starring Joseph Gordon-Levitt and Shailene Woodley, reveals the incredible untold personal story of Edward Snowden, the polarizing figure who exposed shocking illegal surveillance activities by the NSA and became one of the most wanted men in the world. He is considered a hero by some, and a traitor by others. No matter which you believe, the epic story of why he did it, who he left behind, and how he pulled it off makes for one of the most compelling films of the year.